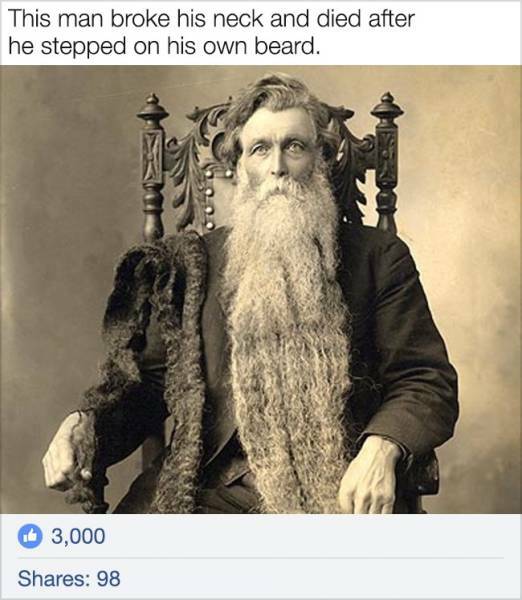 This story has been on the internet for many years already. In fact, all you need to do is check the biography of Winston Churchill to stop believing such headlines. 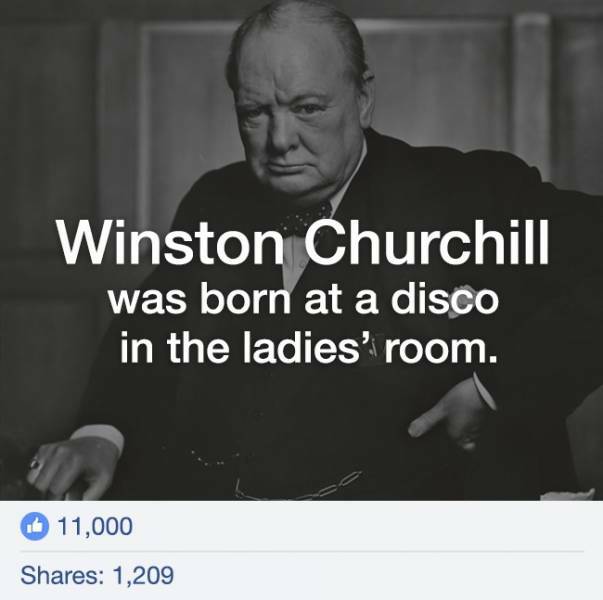 Actually, the famous politician came from a noble family and was born in the Blenheim Palace. The future parents moved into the palace with the purpose of having their child there and after the child was born, they organized a ball to celebrate. 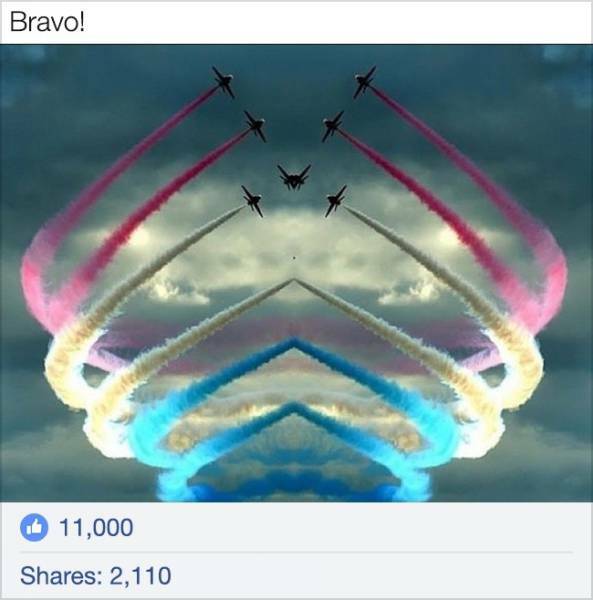 And here is another example of someone Photoshopping a picture to get likes and views. Of course, the picture became very popular — a beautiful girl in danger! 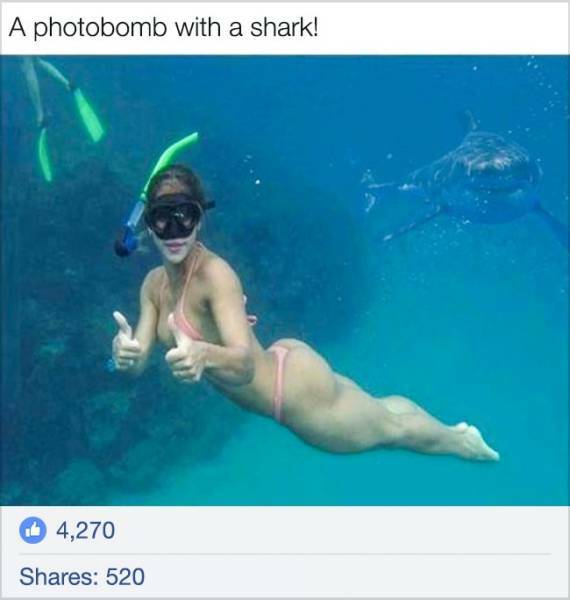 Fortunately for the girl, the picture turned out to be fake. 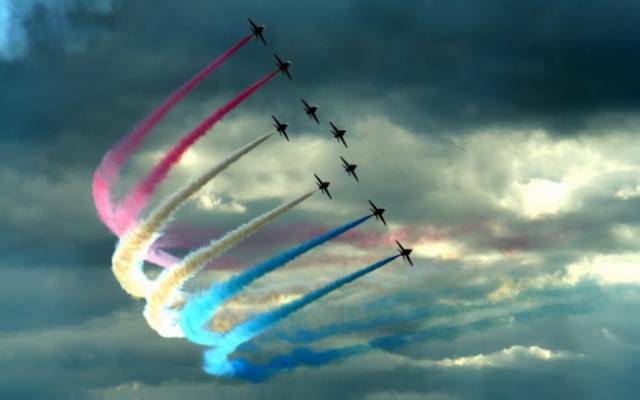 This nice piece of news made many internet users happy, but it’s nothing more than a fake. 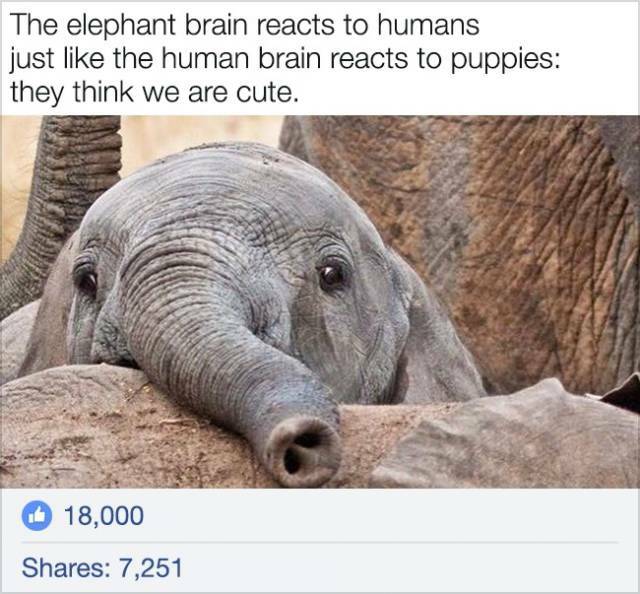 Scientists have never conducted any studies of this, but other research shows that elephants consider people to be potentially dangerous. That’s why they learn people’s habits, they can determine our approximate age, and can even tell the difference between different languages. 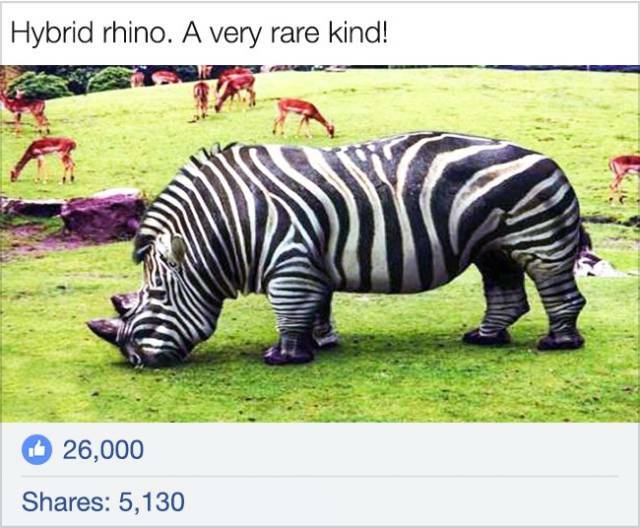 Apparently, many people seriously believe that such rhinos really exist. Well, we hate to be the ones to break it to them, but they don’t actually exist. The photo was obviously edited. This photo shows Hans Langseth, a man who worked in the circus and holds the record for the longest beard — 222 in. He lived until he was 81 years old and died in his son’s house. And of course, he didn’t break his neck. Of course, this news is fake. 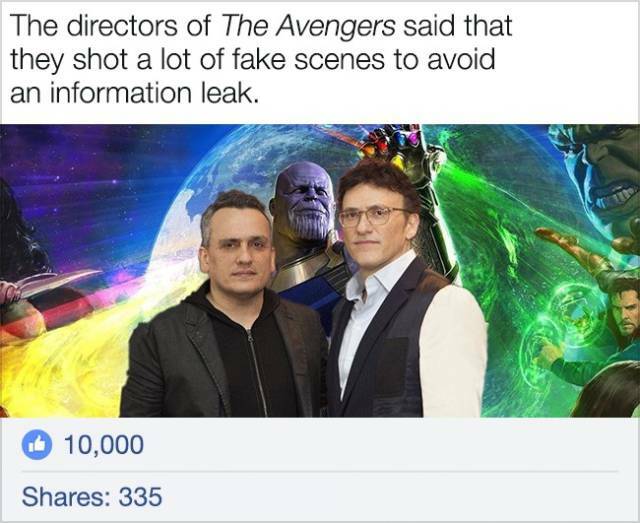 The directors confirmed this, “We are too tired to shoot the scenes which won’t be in the final movie.” A few short scenes can be cut out during editing, but it’s okay for any movie. They love exaggerating things on the Internet. 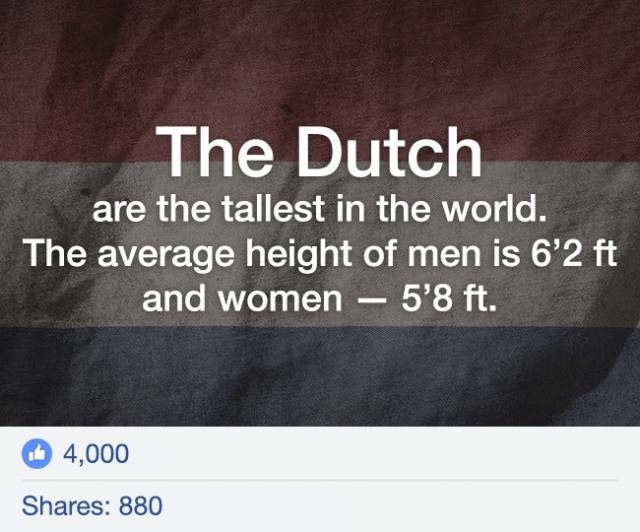 The Dutch really are tall, but the average height among men is 6 ft. And the tallest women in the world are the Latvians — their average height is 5’5″, and Dutch women are 5’4″. Actually, the truth is quite opposite. A scientist from the California University conducted a study which showed that an increase in the temperature by even one degree can lead to problems with sleep. Specialists from several scientific centers have come to the conclusion that in order to fully restore its resources, the body needs to be in the state of neutral temperature. 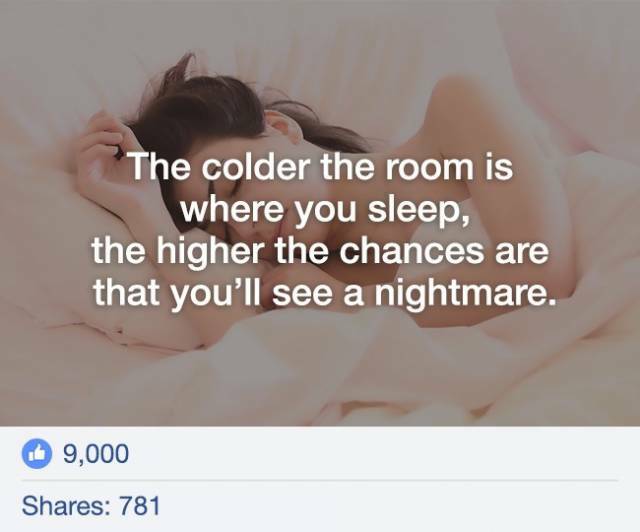 This means that the temperature should the same and it should be comfortable while falling asleep. Sometimes, newsmakers use Photoshop to create an interesting and a widely discussed photo. This is another example of somebody being sloppy in Photoshop. And people didn’t notice the obvious lie and shared the news. 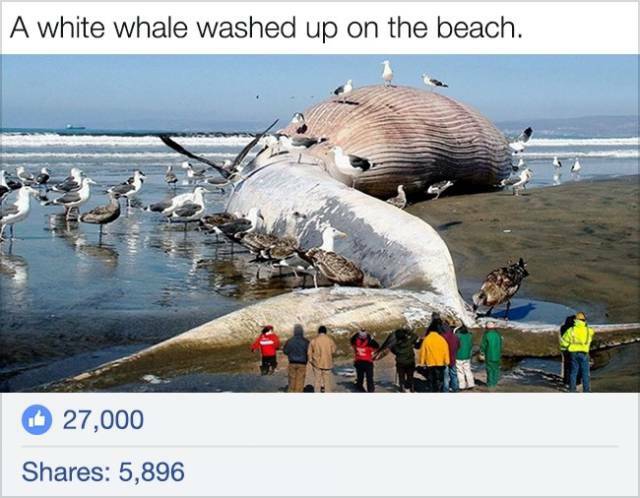 We really hope that people weren’t interested in the “whale” but in the giant seagulls. Orthopedists believe that knuckle-cracking is harmful. 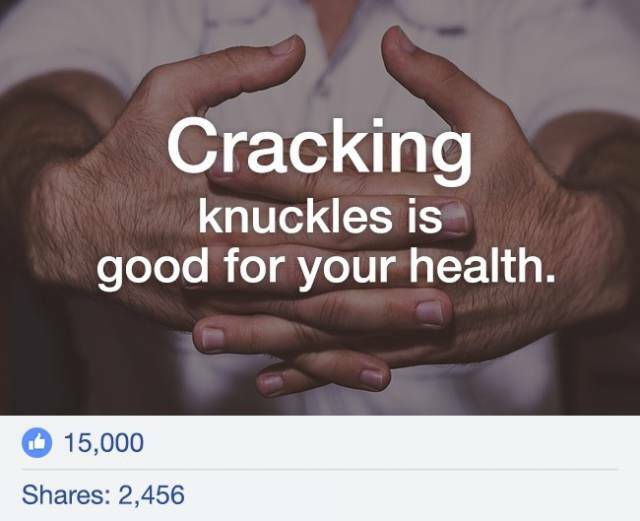 However, a recent study shows that the people who love cracking their knuckles and joints don’t actually do any harm to their bones. Well, there are no solid facts to prove that cracking joints is useful, so this news from the internet is definitely fake. This picture became very popular on the internet with this text, which is most certainly fake. 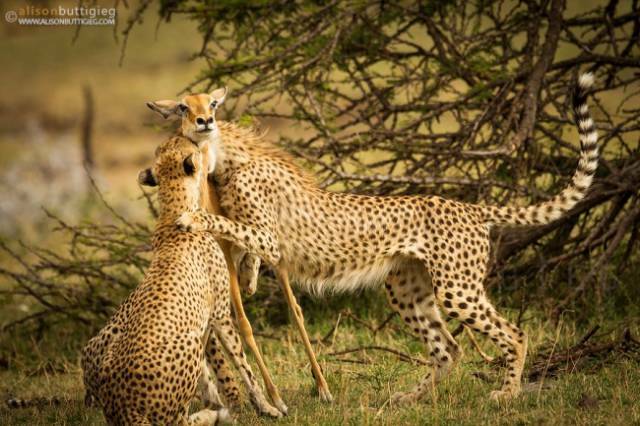 The author of the photograph says on his website that in this photo, there are 2 cheetahs that are learning to hunt. The cubs were inexperienced and couldn’t kill the prey quickly. The “calm” look of the impala is actually a sign of paralysis and shock and it wasn’t saving any children. Many domestic cats are not scared of water. For example, Turkish Vans are not scared of water at all. The wild jungle cat loves taking baths too. 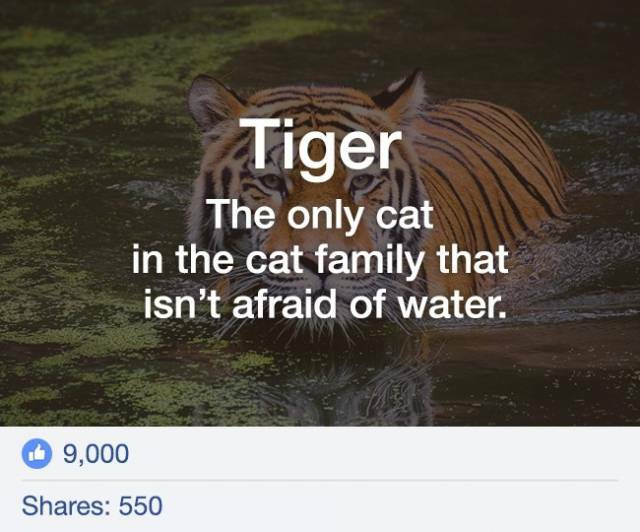 People are ready to do anything to get likes. To impress the online audience, the authors of this post took a picture of the actress with makeup and put it next to her everyday photo. 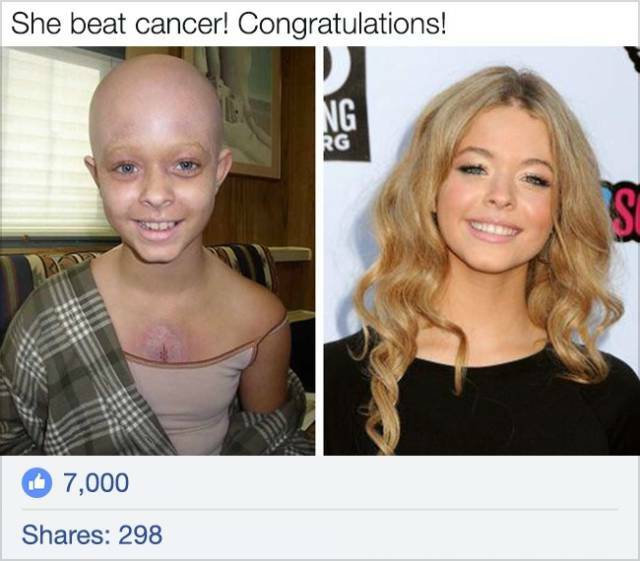 The girl is Sasha Pieterse and she is wearing makeup for one of the episodes of “House.” Sasha is perfectly healthy and has never had any serious diseases. 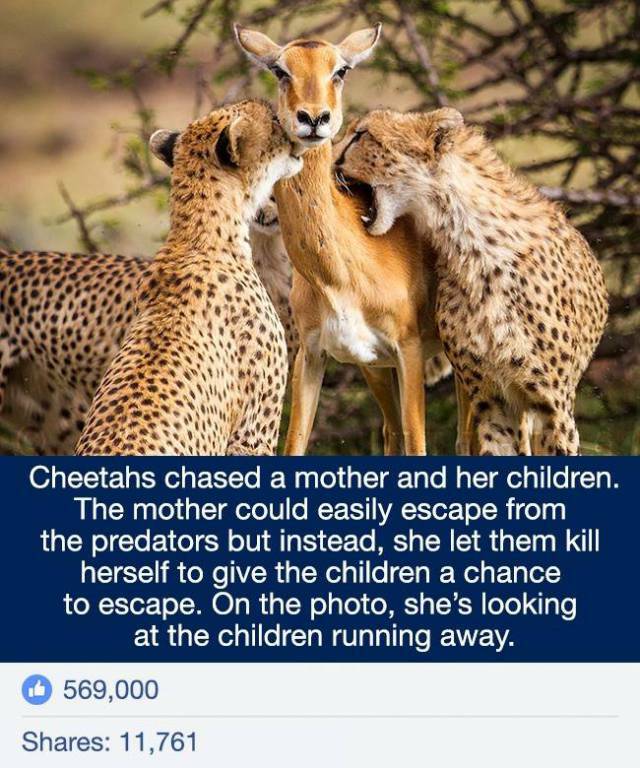 The author of this post managed to create a fake as big as National Geographic. 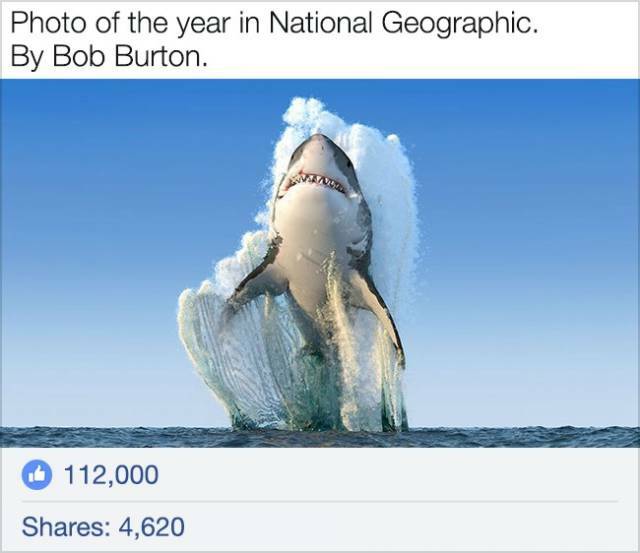 The photograph gathered thousands of likes before the author was found. As it turns out, it was an artist and illustrator from Russia, Aleksey Kravtsov. More than that, Bob Burton the photographer doesn’t even exist. Many people have been said to be the authors of this phrase. There are so many variants of this phrase but it’s very hard to find the true author. So who is he? The original phrase belongs to Emo Philips. 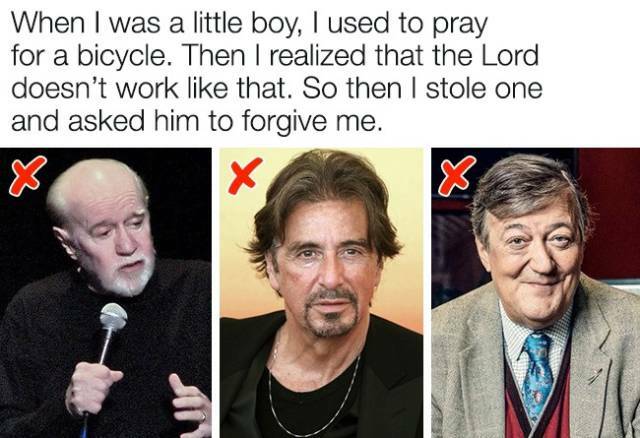 He is not as famous as Al Pacino or George Carlin, but he was very witty.